Download Finished transforms and re-publishes films from P2P networks and online archives. 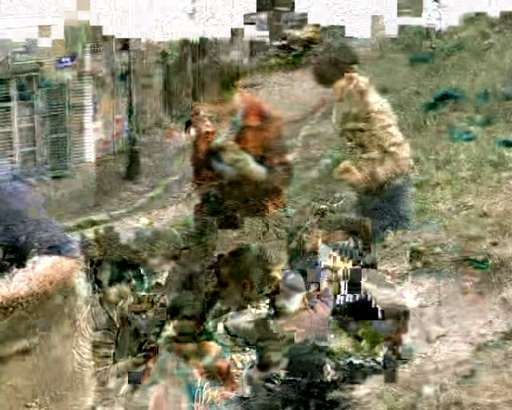 Found footage becomes the rough material for the transformation machine, which translates the underlying data structure of the films onto the surface of the screen. The original images dissolve into pixels, thus making the hidden data structure visible. Through DOWNLOAD FINISHED, file sharers become authors by re-interpreting their most beloved films.